How are Jersey’s puffins doing in 2017? We worry about our puffins. We worry a lot and not without good cause. Our puffins have probably been in trouble since humans and their hangers on, the rats, dogs, cats and ferrets that follow them, first turned up in Jersey. Or walked along the peninsula presumably. And it’s not like the puffins could have been totally casual in their choices of nest sites before arrival of humans – wolves, foxes, stoats and weasels didn’t need us to show them where the seabirds were. Picking places to breed where wolves can’t get to is probably a lot easier than choosing rat-free ones. It’s a surprise that the burrow-nesting puffin even made it this far – nowhere else will they nest where rats are even vaguely close by. 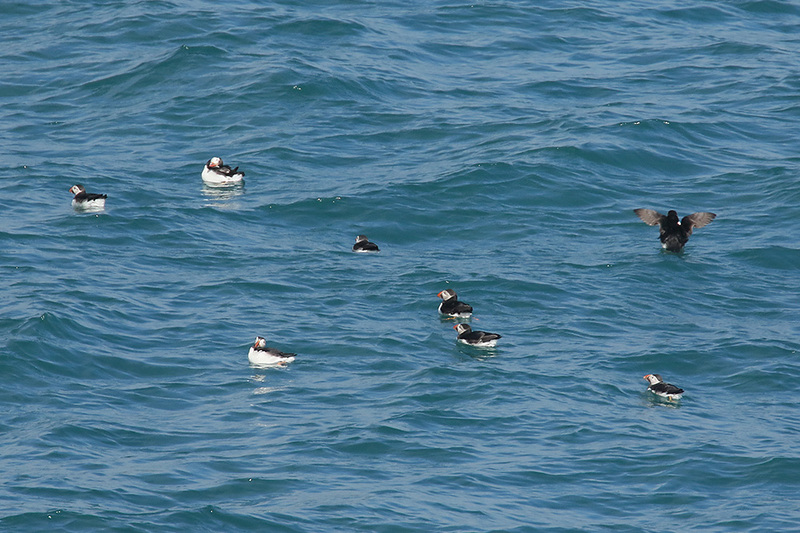 Unfortunately our actual records of puffins in Jersey are pretty poor. Everyone “knows” there were once lots although no one ever actually counted them. Or looked in their nest burrows. 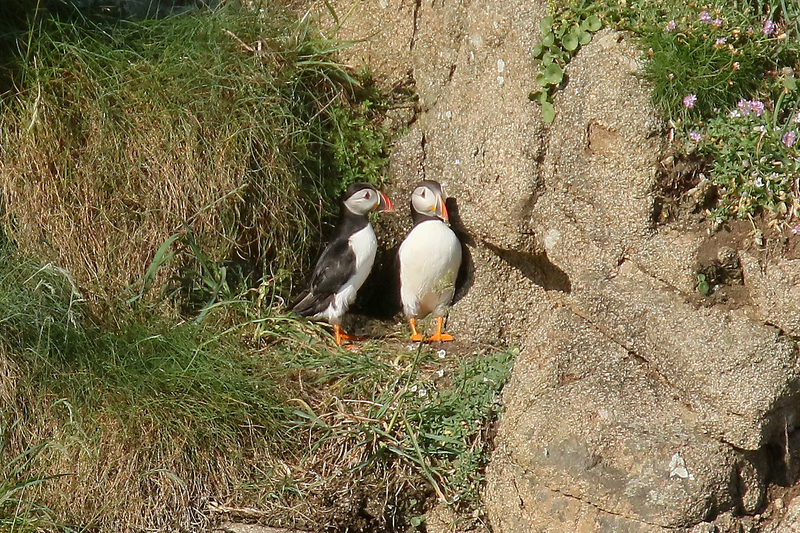 Or even it seems, really, confirmed that they actually bred here at all – puffin chicks are reared underground and, abandoned by their parents, leave the burrow alone and at night. They fly straight out to sea and away, never really ever seeing their parents as it was dark in the nest where they grew up. It’s perhaps no surprise then that we never see the little ones, the pufflings, either. That Jersey’s puffins, like those in France have gone down numbers further in recent years is quite clear and, in 2015, Kaja Heising even wondered if the puffin’s time in Jersey was finally up. That the bird of many a local t-shirt, souvenir and local television show would be lost for ever. I further suggested that in Jersey we risked emulating Mauritius’s relationship with the dodo – an island using an extinct bird as an icon. 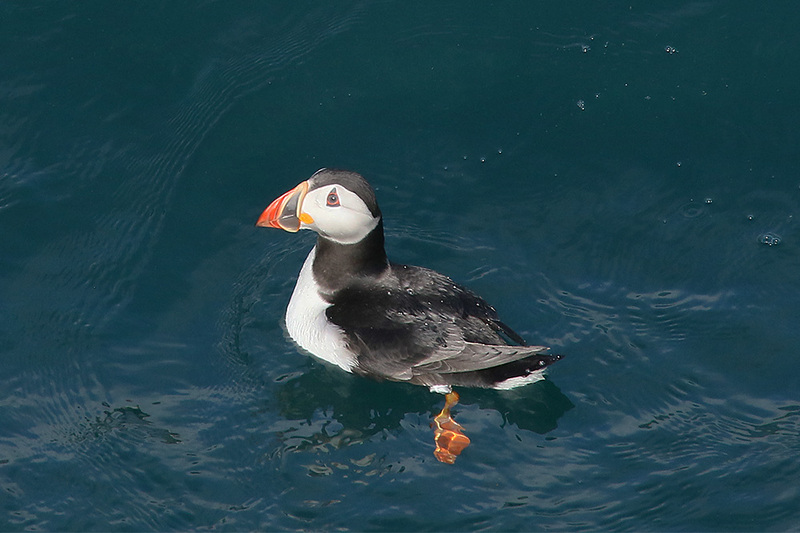 Jersey’s puffins are pretty well the most southerly of their kind in the world. The one colony below us, Rouzic in Brittany, has itself suffered. Not least in their case as gannets have moved into their neighbourhood and taken over. Interestingly it’s possible that puffins don’t really get kicked out by gannets but that all that burrowing will eventually remove the topsoil they need, making it useless for puffins but lovely for gannets (like they did on the Welsh island of Grassholm). The puffin may be rare amongst nature in that it, like us, can completely destroy the home it needs most. 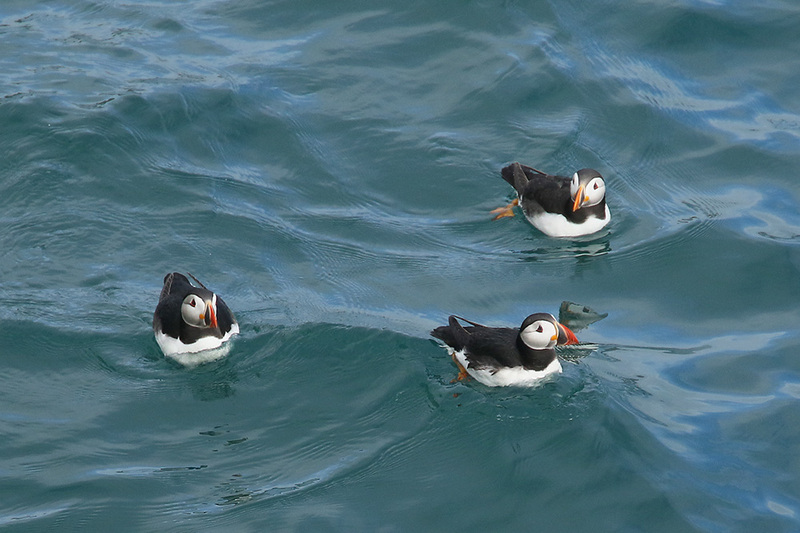 The southern-most puffins are also finding the seas around them getting warmer as the climate changes. 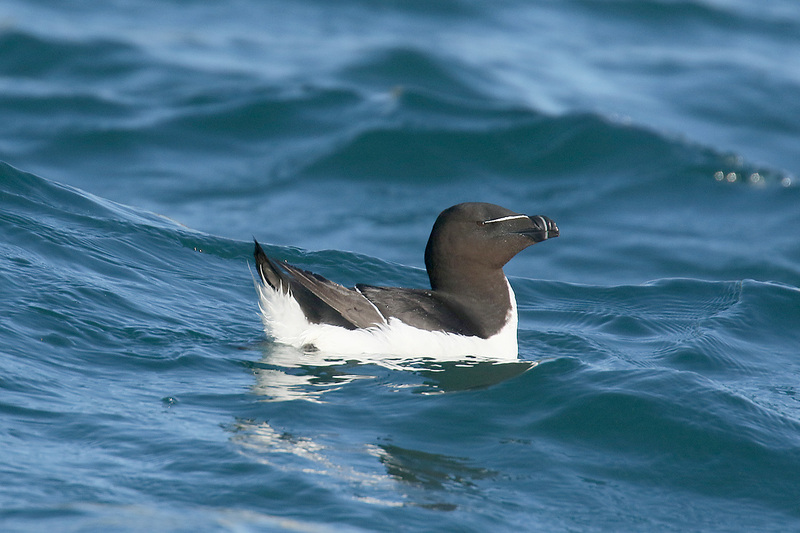 British waters, already grossly overfished, are now seeing new fish species that were once rare this far north (witness the change of moulting sites of the Balearic shearwater), fish not all to the liking of puffins, particularly not for the pufflings. 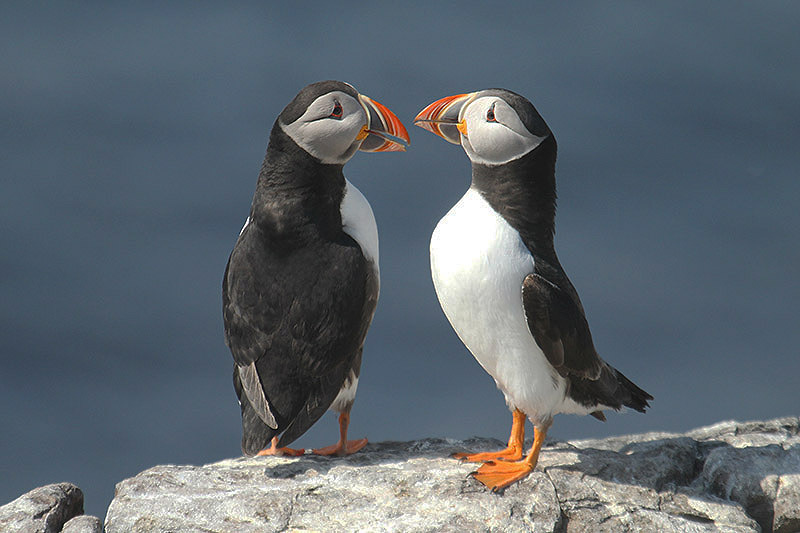 So, what of our puffins? Have they finally gone from Jersey? Well, that’s the thing, they’re still here. Not many but where there’s hope etc. This year there are eight pairs it seems, and everything suggests that they are at least trying to nest and breed successfully. Of course, our puffins can’t burrow into the soil as they’d like to as the rats would get them, so they pick inaccessible cracks in the rock that they can fly into. 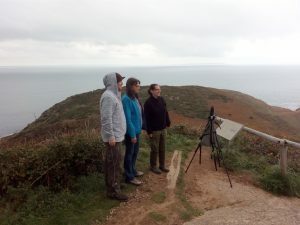 Local ecologist Piers Sangan and top birder, Mick Dryden, are watching the puffins like no one has done before in Jersey, mapping them and trying to understand their behaviour while in our waters. Piers reports both members of one pair flying into one rock crevice carrying fish – to feed an unseen baby? 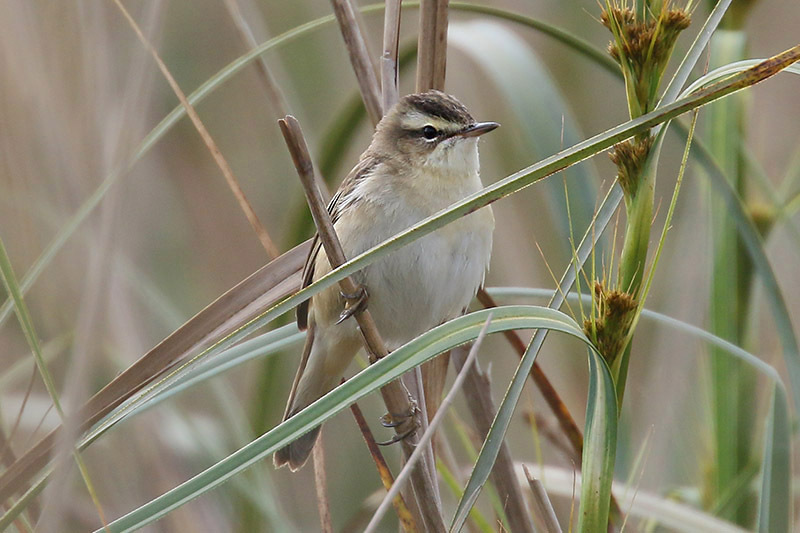 That sounds like a probable breeding to me – our first record at last? And what of the threats, do we know more about these? We know that our birds are unlikely to access somewhere to burrow thanks to the attentions of unwanted mammals. But how bad is this and how many of the pesky mammals are there on the cliff tops? 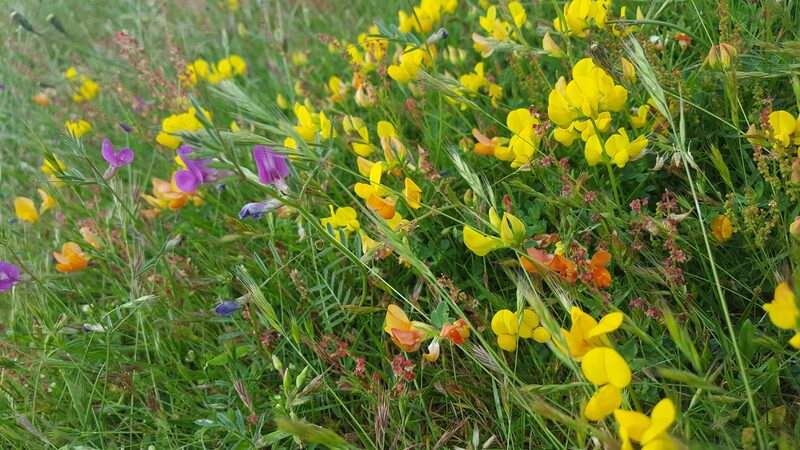 Invasive mammals expert Kirsty Swinnerton is planning to find out and think up ways perhaps of getting rid of them. Or at least keeping them safely away from the birds. 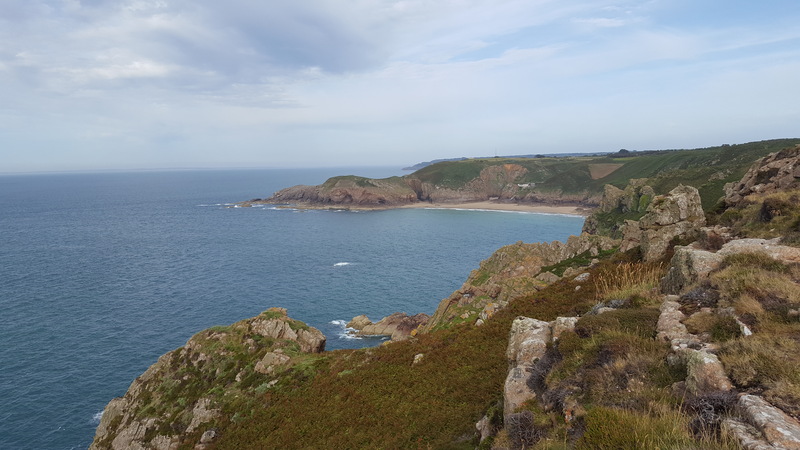 Local expert, and chough monitor, Keith Pyman has also wondered whether our fulmars, which colonised Jersey in the 1970s, might not be blame-free too. At least in not helping the precarious position of our puffins. Fulmars are never normally any threat to nesting puffins but these petrels, who can spit some pretty foul stomach contents at anyone annoying them, probably don’t normally get that close to burrowing puffins. 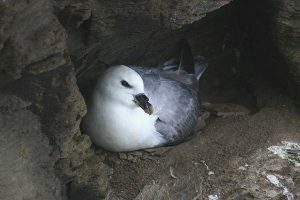 However, here in Jersey, fulmars nest on the ledges and mouths of cracks and crevices – do they block the puffins’ nests? Puffins find it hard enough to approach their Jersey homes anyway (puffins in big grassy colonies simply throw themselves into the ground and run to the burrow) those using small rock crevices find the precision approach difficult without the threat of the spitting fulmar. Keith has noted fulmars in the places where in years past he saw puffins disappearing underground. Our puffins are still hanging on and you can see the sightings on the Jersey Birds website along with updates on our small number of razorbills, some over-summering guillemots and, somewhat weirdly, the fine black guillemot enjoying our summer with its (reluctant?) razorbill friends. As noted above, where there’s hope there’s a way, so let’s give our puffins some support. With a better understanding of the numbers and locations of all our birds and the true level of threats that they face we may be able to devise some strategies to stop the puffin’s disappearance, ways that might need everyone to remember just how much they love puffins. Wild flowers at Sorel. Photo by Liz Corry. 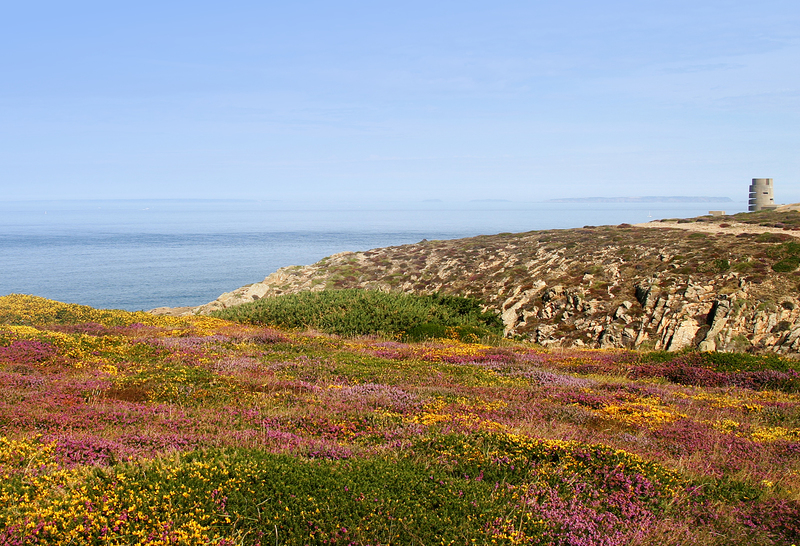 Jersey’s coastal habitat was home to spring lambs, wild flowers, and baby choughs this month. Here is what the choughs got up to. Or, as we can now call them, what the award-winning choughs got up to! On May the 4th the first of the three eggs in Issy and Tristan’s nest hatched. Staff were naturally excited and considering the date, the geeks amongst us (i.e. everyone), started putting bids in for Star Wars related names for the clutch. Chough eggs hatch sequentially so we expected it to take a few days. However, the days passed and it became clear that this would be the only egg to hatch. Han Solo was duly christened. The parents were keen to remove one of the failed eggs. The other was left in the nest for quite sometime. With only one chick to care for, Han Solo was well fed and grew steadily day by day. This year’s wall planner had a rather colourful month in store with various predicted hatch dates starred and scribbled in colour-coded marker. First off the blocks were to be Red and Dingle (hand-reared) who raised their first chicks last year. This year’s eggs were due to hatch around the first week in May. A change in Red‘s behaviour on 4th May suggested the eggs might have started hatching. Instead of waiting for the cue from Dingle, she was already waiting at the aviary for food in the morning. As soon as she picked up a mouthful of mealworms she zoomed back to her nest. We asked Kevin le Herissier, responsible for ‘their’ building (Ronez naively still believe that the buildings are theirs not the choughs’), to check the nest the following week. This was to allow time for the entire clutch to hatch and so that the parents were not as sensitive to disturbance. To our bemusement the photo he sent back was of a perfect nest containing four eggs. A follow up check on the 19th also found four eggs. 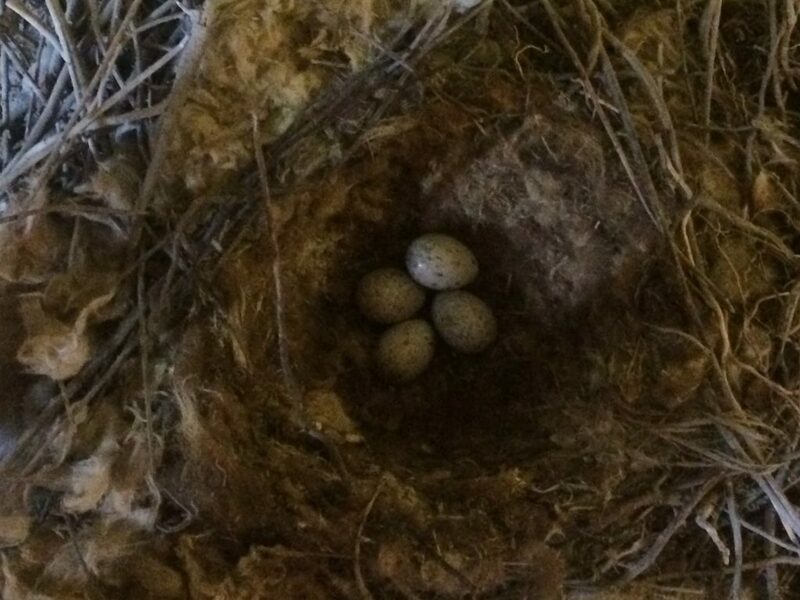 Guess what was found when the nest was checked for a third time on the 31st? Sadly, not a case of third time lucky. Still four eggs. Under license by the States of Jersey, these eggs were candled in the nest to find answers to what had happened, why they hadn’t hatched. One egg had failed during embryonic development while the others looked like they contained almost fully developed chicks. The eggs were returned to the nest. 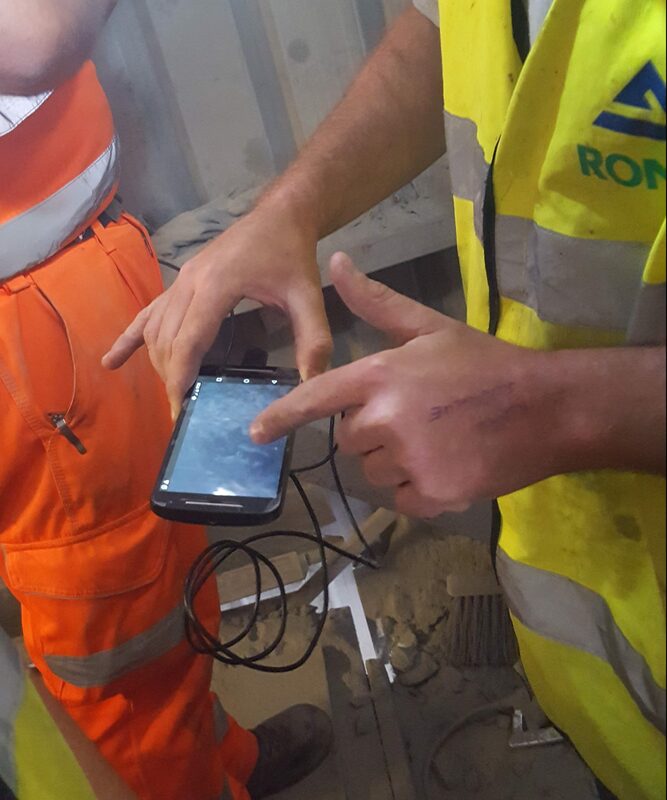 Student John Harding and Ronez operational assistant Toby Cabaret checked on the nests in the quarry on the 19th. Armed with a GoPro and a very long pole they checked nest-boxes and known nest sites. One of the nest-boxes we fitted in the quarry in 2015 had nesting material in it. What flew out wasn’t a chough though. It was a kestrel! Most of the nests were just centimetres out of reach of the pole and suspiciously quiet. The team did, however, spot a female on a nest in a building not previously used by the choughs. With no wish to disturb her the nest was left alone. We now have the task of trying to work out which pair this nest belongs to. A neighbouring building was also found to have a nest. This one didn’t have a female on it, but from the begging noises it was clear there were at least two chicks in there. Again this is a new site and new pairing. This video shows Toby and John trying to use the GoPro to check the cheeping nest. They didn’t realise at the time how close they were to the nest. You can see the chicks. They look extremely young. Normally we would avoid disturbing a nest at this age. From our calculations we expected any chicks to be a few days older. From their begging they look strong. All nest checks are done under license from the States of Jersey. On the 31st we returned to the nest sites. This time with Channel Island ringer Dave Buxton in case the chicks were old enough to fit with leg rings. We were also armed with a new piece of equipment…a USB endoscope camera. It doesn’t provide HD images like the GoPro. However, it is equipped with LED lights and a lot more manoeuvrable (and only cost £25). Toby Cabaret checking a chough nest with the Potensic endoscope. Photo by Liz Corry. Three chicks could be seen with the endoscope plugged into a smartphone. Photo by Liz Corry. Due to health and safety concerns, two nest-sites were out of bounds. We were able to check the nest with the cheeping chicks. This time eerily silent, although it was clear from the endoscope image that there were three bills. They still had pin feathers on their heads and from their size they looked no more than two weeks old. Too young to fit rings. Before leaving the building John and Toby went a checked the next floor up on a hunch that there could be something. They were right! 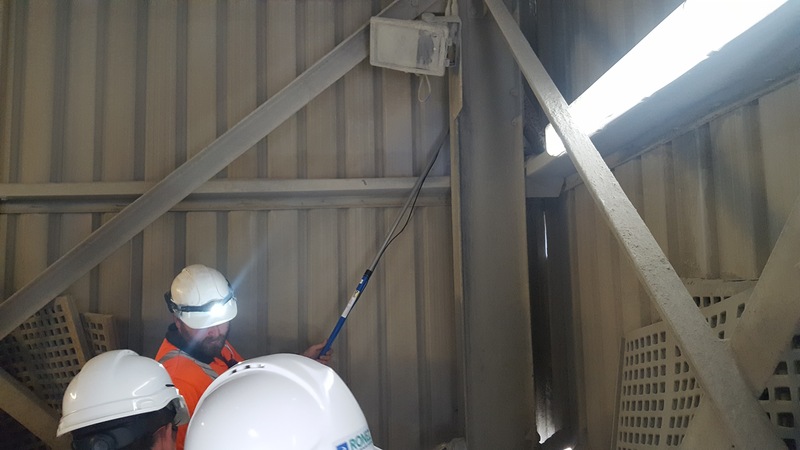 They found a nest tucked away behind girders. Spot the nest? Photo by Liz Corry. 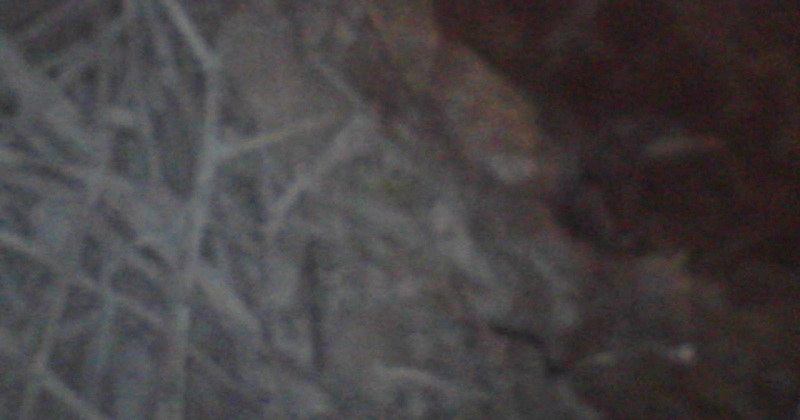 Despite a grainy image, the colour and shape of a bill could be seen and possibly a second body. The image below is a snapshot from the endoscope. The image is less clear than in realtime. You will be forgiven if you can’t spot the head of a chick. Screen grab of endoscope view in nest showing the pale bill of a chick (far right). Photo by Liz Corry. Whilst checking this nest Kevin and Bean flew in and appeared slightly aggrieved that we had discovered their little secret. The disappointment of the chicks once again being too young to ring was quickly overshadowed by this news. Bean is one of our hand-reared females released as a juvenile in 2014 and now, three years later, rearing chicks of her own! We received several reports of choughs out and about this month from members of the public. Of interest was a report of a pair from Tabor Park, St Brelade. They had been seen on the allotments, but flown before leg rings could be read. Five days later another report came in of a chough calling at the desalination plant by Corbiere. We have radio-tracked choughs to the south-west before in 2014 and 2015. Since then there have been a handful of sightings around Gorselands, Le Creux and Red Houses. 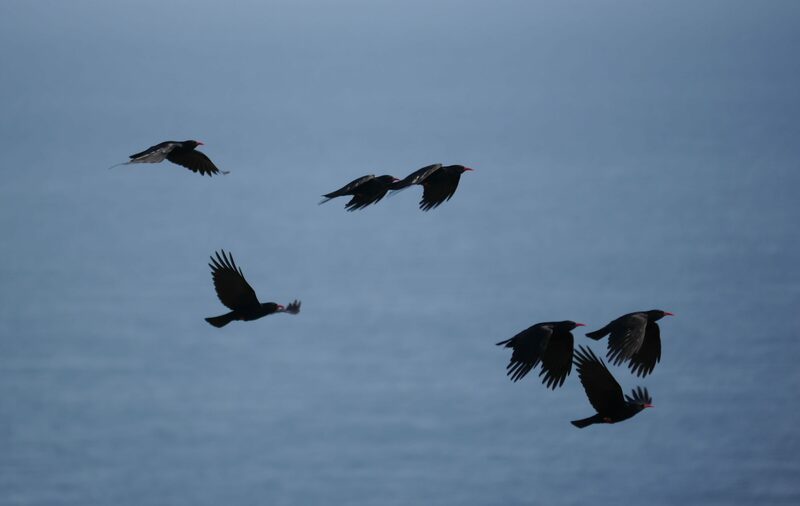 Choughs on the move. Photo by Liz Corry. Regular chough watchers Mick Dryden, Tony Paintin, and Piers Sangan reported choughs at Crabbé, Île Agois, and Grosnez during the day. We assume these are the sub-adults and non-breeders who don’t have commitments at the quarry. Without leg ring records we can’t be sure. Grosnez to Plémont with Sorel point in the far distance: areas visited by the choughs this month. Photo by Liz Corry. Guille Mayor arrived this month to start his MSc research looking at personality traits in released choughs. He is trying to see if personality relates to dispersal distances and success in the wild. Part of his work will involve behavioural observation at the release aviary and how individuals react to a novel object. The trickier part of his study requires him to find where the choughs go each day. He obviously likes a challenge since only three in 34 have radio tracking devices and Guille is on a bicycle. If you do spot a chough away from Sorel please as also let us know. Send an email, call 01534 860059, or post on Jersey Wildlife Facebook page. Location, date, time, and, if possible, leg rings need including. British and Irish Association of Zoos and Aquariums (BIAZA) held their annual awards at The Deep in Hull this month. Durrell had entered four categories and came away with three gold and one silver. 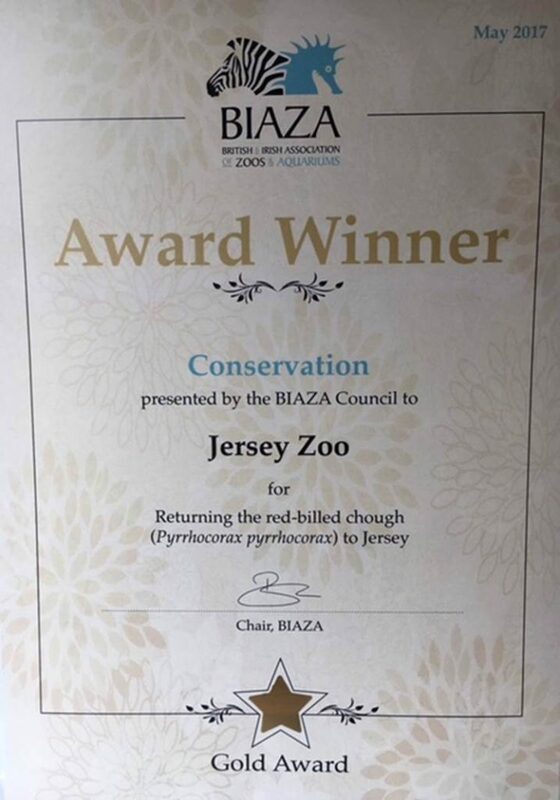 We are delighted to announce that the return of choughs to Jersey was awarded gold in the conservation category. Many thanks to everyone involved over the years that have helped plan, raise, release, monitor, and protect the choughs, many of which have volunteered their free time to do so. And of course our partners at the National Trust for Jersey, Department of the Environment, and our extended chough family at Paradise Park. 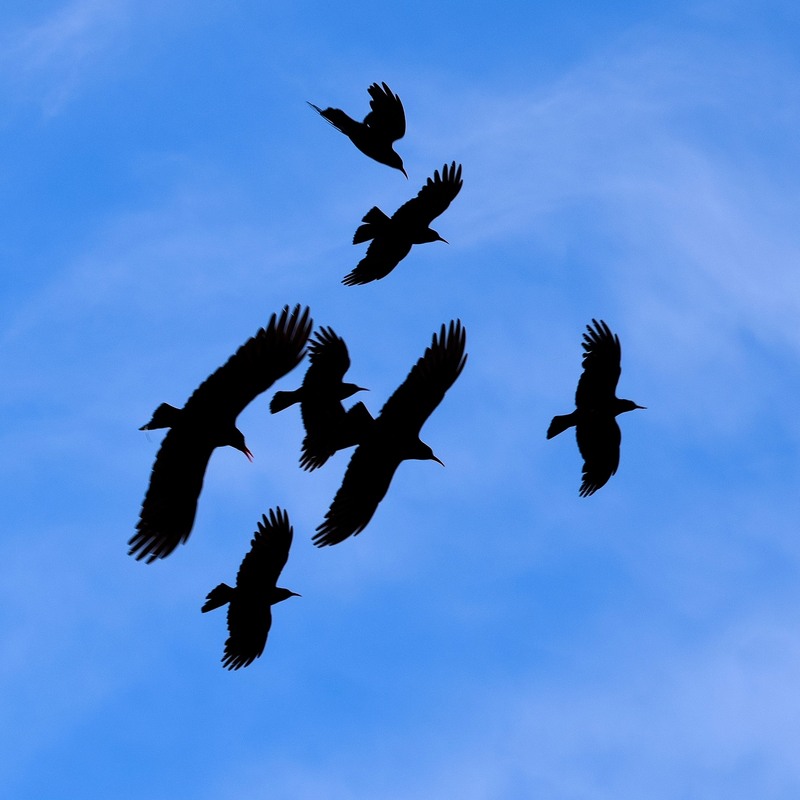 Why should governments monitor bird populations? 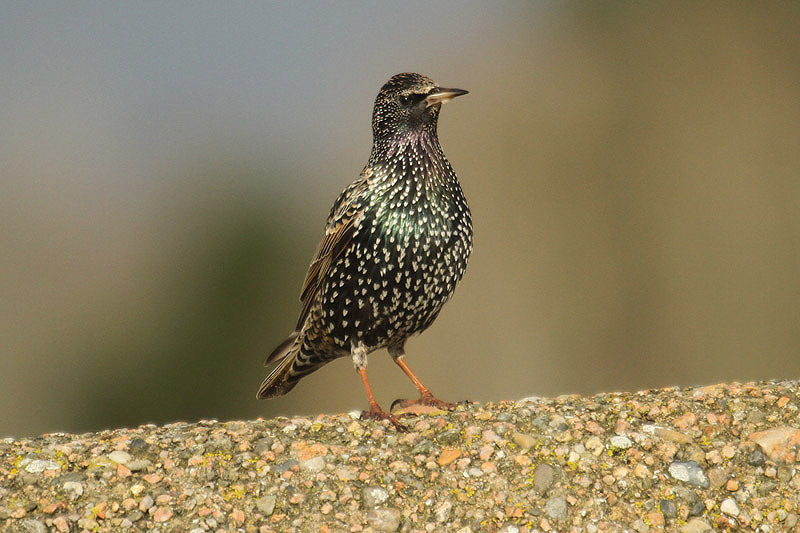 Bird populations have long been considered to provide a good indication of the broad state of wildlife in the UK. This is because they occupy a wide range of habitats and respond to environmental pressures that also operate on other groups of wildlife. In addition, there are considerable long-term data on trends in bird populations, allowing for comparison between short term and long term. Because they are a well-studied taxonomic group, drivers of change for birds are better understood than for other species groups, which enables better interpretation of any observed changes. Birds also have huge cultural importance and are highly valued as a part of the UK’s natural environment by the general public. 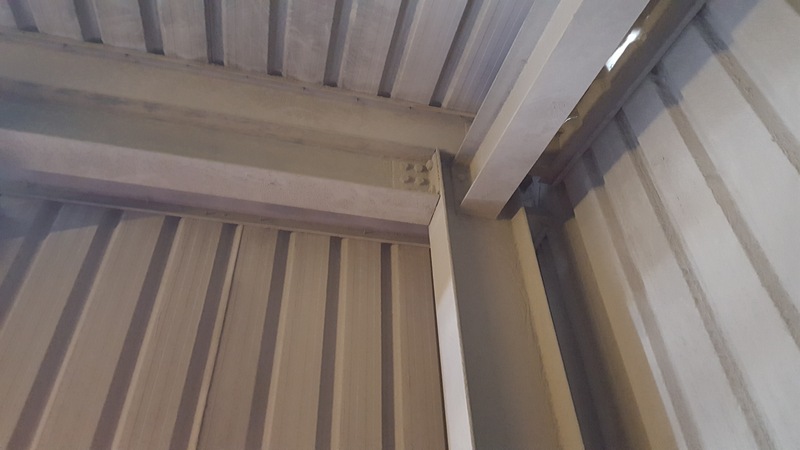 However, the bird indicators presented in this publication are not intended, in isolation, as indicators of the health of the natural environment more widely. It is not possible to determine changes in the actual number of birds for each species in the UK each year, it is possible to estimate the relative change, from counts on sample plots surveyed as part of a range of national monitoring schemes just as Birds On The Edge and others do in Jersey. Trends in bird populations are used by policy makers, government agencies and nongovernmental organisations as part of the evidence base to assess the effects of environmental management, such as agricultural practices, on bird populations. 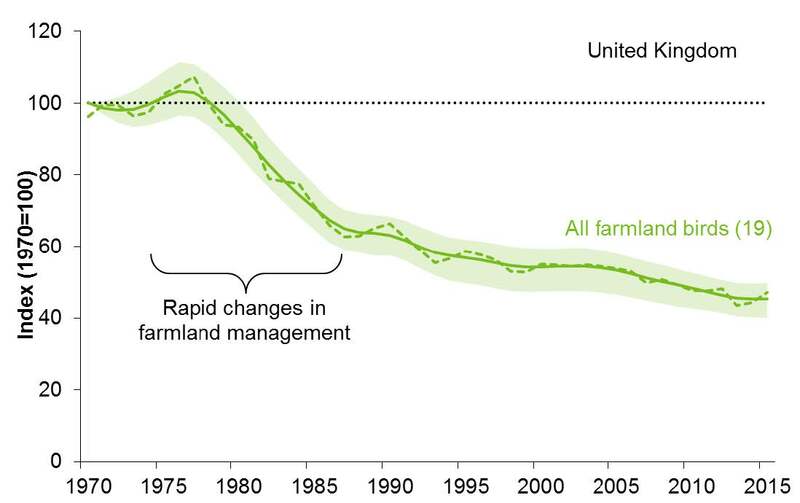 The trends are also used to assess the effectiveness of environmental interventions intended to address declines, such as agri-environment schemes targeted at farmland birds. Individual bird species population trends, based on expert surveys, are calculated as an index. This relates the population in a given year to a ‘baseline’ – the first year that data are available – which is given a value of 100. Thereafter, the index is expressing the population as a percentage of this ‘baseline’. 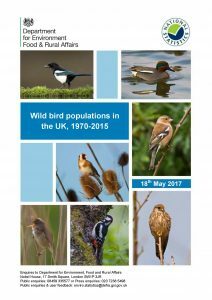 This annual Defra National Statistics Release presents data trends up to 2015 in populations of common birds (species with a population of at least 500 breeding pairs) that are native to, and breed in, the UK, with trends overall and for four main habitat groups (see Annex A in the report for a list of birds in each group). 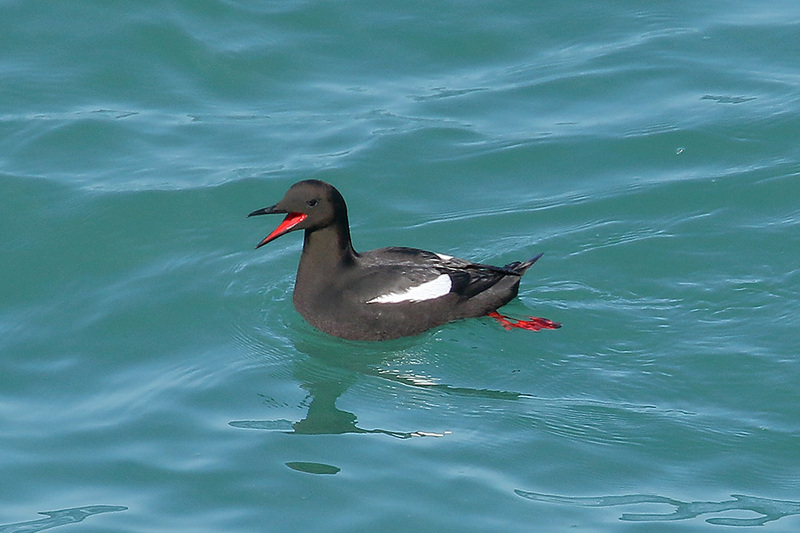 The release also presents trends for wintering waterbirds, some of which also breed in the UK. The charts presented combine individual species indices into a single indicator to provide an overall trend for each group mentioned above. The indices are considered to give reliable medium to long-term trends but strong reliance should not be attached to short term changes from year to year. Two trends are referred to in the text: the unsmoothed indices show year-to-year fluctuation in populations, reflecting the observed changes in the survey results; and smoothed trends, which are used to formally assess the statistical significance of change over time. Smoothed trends are used for both long and short term assessments as they reduce the short-term peaks and troughs resulting from, for example, year to year weather and sampling variations. The most recent year of data, i.e. 2015 in this update, is likely to change due to the smoothing process following the inclusion of 2016 data in next year’s update. As a result it is not appropriate to make assessments based on this figure. Where results from the smoothed indices are quoted, this is clearly indicated. The combined all species index has changed little compared with 40 years ago in the UK, however, this masks considerable flux, with some species increasing and some species decreasing in population size. These changes in relative abundance tend to cancel each other out in the combined index. 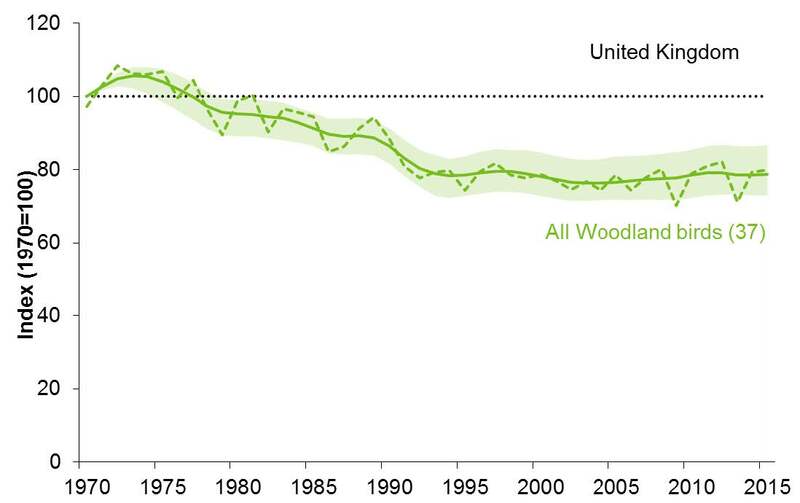 The number of wintering waterbirds was 88% higher than in 1975-76, the index peaked in 2001 and has declined since. The smoothed wintering water bird index fell 8%.